Dazzles the imagination and causes you to rethink everything you ever thought you knew about reality. A ground-breaking work. Clear, imaginative, and inspiring, it offers a revolutionary image of the human mind and the universe. This book is brilliant, a must read for anyone who is interested in the higher state of reality and the science and mechanics that govern the manifestation of metaphysics and consciousness in the external world. 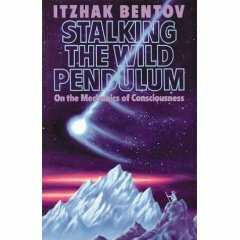 Itzhak Bentov was an outstanding exponent of the new science of consciousness up until his untimely death in 1979. He specialized in bio-medical engineering and instrumentation. He was also the author of "A Cosmic Book." Häftad, 194 sid., utg. år 1988. OBS, på engelska!